2. The Last Parade On Ann St. 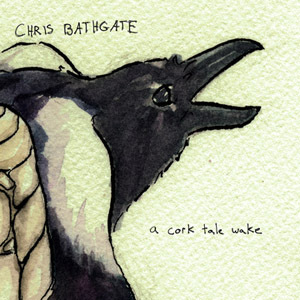 Released in 2007, A Cork Tale Wake, Chris Bathgate's first national release with Quite Scientific, soon found Bathgate being compared to artist such as Jeff Tweedy, and Will Oldham. Since, Bathgate has risen from the ranks of everyday singer/songwriter to a national touring favorite, having toured both Europe and The States several times within the following two years. 'Serpentine' and 'Madison House' quickly became signature songs of Bathgate's, and carry a torch still today - shining amongst the vast catalog of songs Bathgate has amassed over the years. Quite Scientific couldn't be more excited to be a part of exposing Chris Bathgate to the world. In an age of too much hype surrounding too little substance, it feels good to have an abundance of ability behind such an artist, and releases such as A Cork Tale Wake.